Want a classic pair of gold hoop earrings with something just a little bit different? 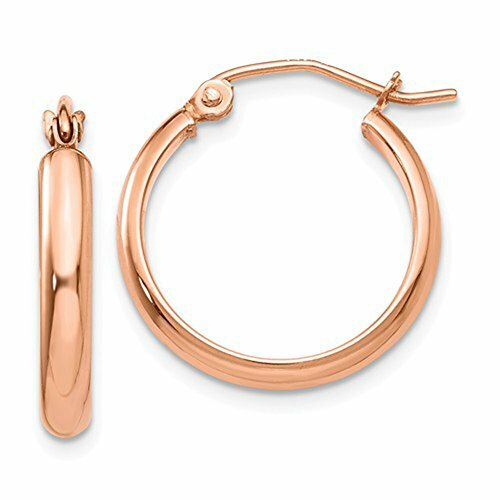 These small rose gold hoops with a half round design are the perfect choice. The warmth and brightness of these hoops matches your personality exactly. Let their warm rose color invigorate your everyday look. And their click down clasp is easy and comfortable to wear, allowing you to be worry free throughout the day. Measuring just under .75 inches in length, these hoops are a great size for every day wear. Each hoop earring comes gift-wrapped in a jewelry pouch for no extra charge.